After a battle with cancer, James Ivan Modena, AKA "Jimmy"", Jimbo, Coach Jimmy, died on October 9th, 2014 at home in San Gregorio at the age of 72 with his family at his side. He leaves behind his son Richard "Ricky", his daughter-in-law Kelly and their sons Joseph and Jon, his daughter Rachel Rice and her daughters Jordan and Madison and his beloved dog Dale and cats Speedy and Scrappy. He also leaves behind brothers Bob (Rosemary), Tom (Fran), Raymond (Jeanette), nephews and nieces and grand nephews and nieces and numerous cousins. Jim was born on February 5th, 1942 in Palo Alto to Paul and Sylvia Modena who both predeceased him. He was also predeceased by his wife Cherie and daughter Loriann "Lori". Jim grew up in San Gregorio and attended elementary school at Seaside School in San Gregorio and graduated High School from Half Moon Bay High in 1959. He worked in the sheet metal industry as a journeyman precision sheet metal fabricator for 31 years and recently retired. Jim started coaching Half Mon Bay girls' softball while his daughters played and continued coaching for 30 years. He coached volleyball, basketball and softball. He recently attended an alumni volleyball game where the girls made a tribute to Jim by naming the Half Moon Bay High School Gym, "JIM'S GYM'. 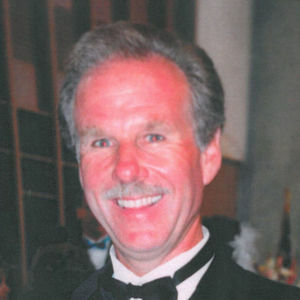 Jim was an avid sports fan, he loved the San Francisco Giants, hated the Dodgers, loved the 49ers and Nascar. He was a 3rd generation farmer in San Gregorio and enjoyed his hobby of farming along with his brother Raymond. He loved fishing, hunting, diving for abalone, camping, playing Pedro and was a great line dancer. He was one of the original Coastriders Car Club Members and loved cars, participating in the Half Moon Bay drag strip racing and he was also a member of the Half Moon Bay Lions Club. Jim will be missed by many people including the girls he coached, people he worked with, relatives and friends. A Visitation will be Tuesday, October 14th, 2014 at 5 p,-7:30 pm followed by a Rosary at 7:30 pm at Our Lady of the Pillar Church. Funeral Mass will be Wednesday, October 15th, 2014 at 10 am at Our Lady of the Pillar Church. Interment at Skylawn Memorial Park with a reception to follow. In Lieu of flowers, his family request that Donations be made to the Half Moon Bay Cougar Booster Club, P.O. Box 504, Half Moon Bay, CA 94019. The beautiful and interactive Eternal Tribute tells James "Jimmy"'s life story the way it deserves to be told in words, pictures and video.